This is the story “anti-cop crowd” protesters don’t want you to see. With so much focus in the national media on isolated incidents of police misconduct, a heartwarming tale out of Kalamazoo, Michigan, reminds us that most police officers are members of their community and embrace the “public service” aspect of their jobs. Officer Joe Hutson recently saw an unusual sight, a man in a wheelchair mowing his own lawn, and he did what any caring individual would do — he intervened. But as remarkable as the story is, it is the Facebook page itself that stands out — it is littered with human kindness stories just like the lawn cutting incident. 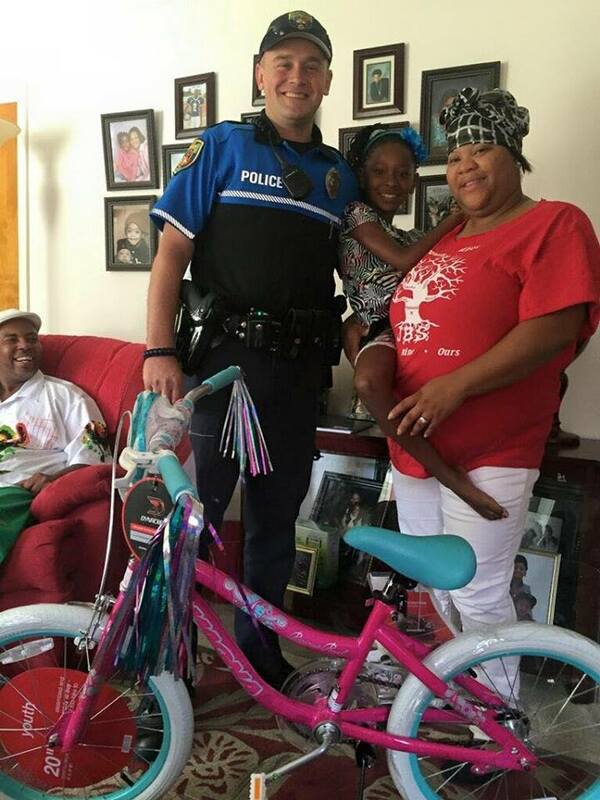 Whether it’s buying a kid a bicycle to replace one stolen, or fulfilling a promise made to a homeless guy to get him a Detroit Lions cap before football season starts, the page is replete with stories of Kalamazoo officers going above and beyond the call of duty to be good neighbors. With so much negative attention in the media, it’s almost criminal that such positive examples of law enforcement being involved in the community garners little attention.